How do I report a phishing attempt or scam email? 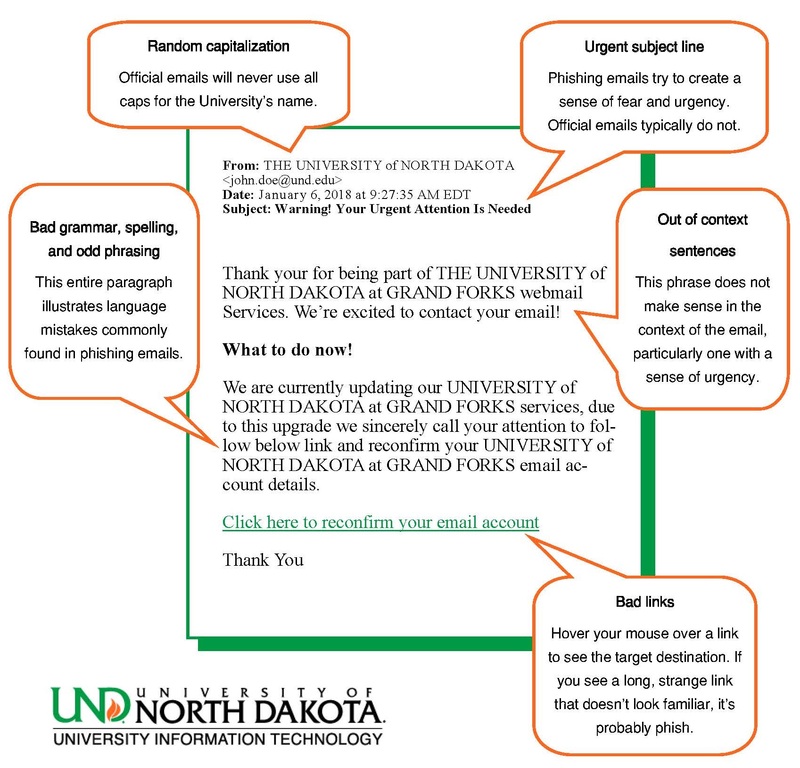 Please report any phishing or scam e-mails you may receive by forwarding the message to phishing@ndus.edu. How can I recognize an email scam? How do I report a phishing email attempt? Check out this knowledge base article I found in the University of North Dakota knowledge base. https://und.teamdynamix.com/TDClient/KB/ArticleDet?ID=57666 How can I recognize a phishing email? Phishing email messages, websites, and phone calls are designed to steal money. Cybercriminals can do this by installing malicious software on your computer or stealing personal information off of your computer. More often than not, phishing messages follow a standard framework that can be easy to spot if you now what you’re looking for.